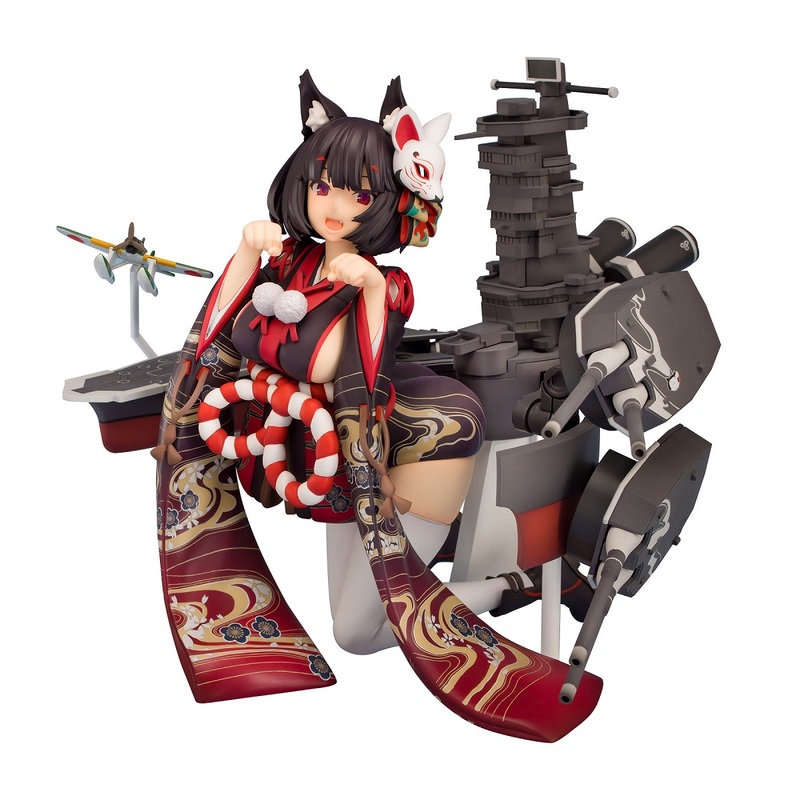 Next up, from PLUM comes Yamashiro from the popular mobile game "Azur Lane". 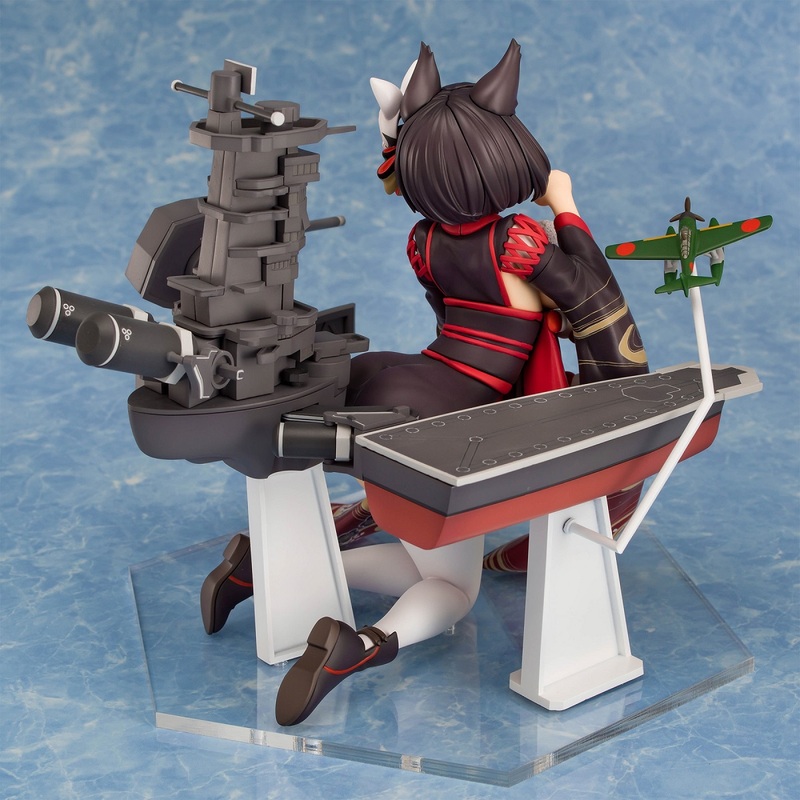 Yamashiro's bulky rigging surrounds her voluminous form as she leans forward in an adorable "meow" pose that helps to give the statue a sense of volume and a unique silhouette from every angle. 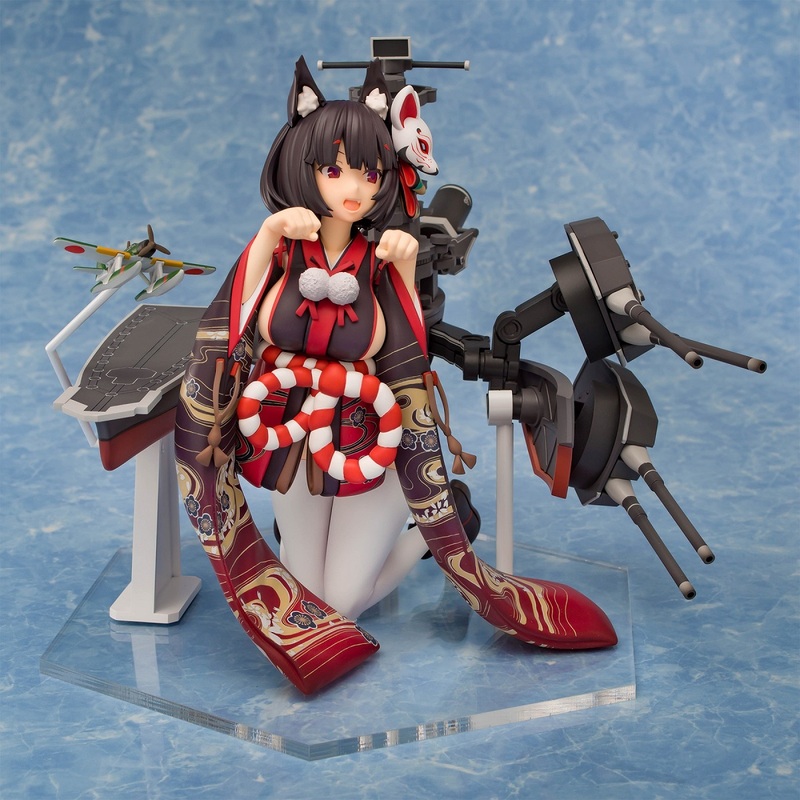 Yamashiro's elaborate kimono inspired outfit complements her character design, with every delicate detail recreated in stunning detail. 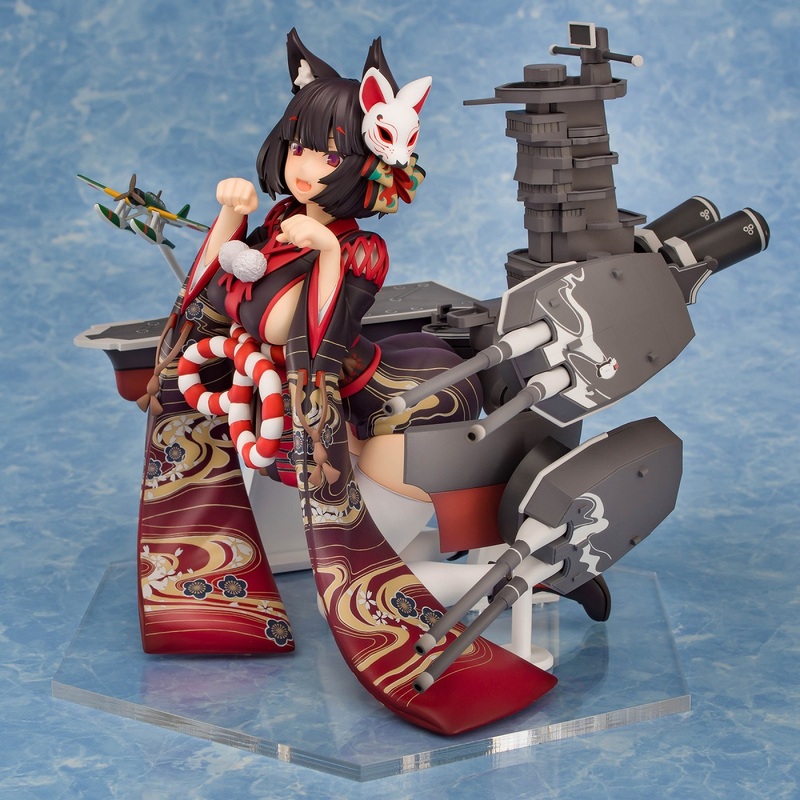 The kimono is beautifully painted with eye-catching gold accents and color gradations of red. We will be accepting pre-orders for this item until May 7, 2019. At that time, units will be manufactured in the quantity of the orders received. After that time, we cannot guarantee we will receive more than ordered.